Ice Frizz Nickel – Hofmann's Lures Inc.
Hook into trophy fish with the ICE Frizz. It has tantalizing action whether you jig it slow or fast, deep or shallow. The ICE Frizz is a must have tool in your pursuit of weary fish and is ideal for Trout, Panfish and many other species of game fish. Proven deadly for 66 years! The ICE Frizz. : Available in Nickel and Gold Plating. 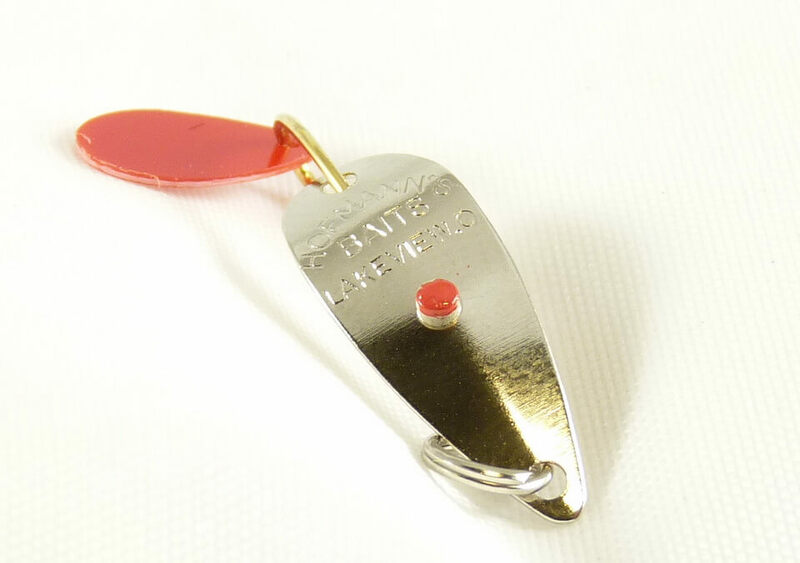 WARNING — Our Lures Bite Back! Hook into trophy fish with Jack Hofmann’s Mitey-Mite with an Ice Flipper. 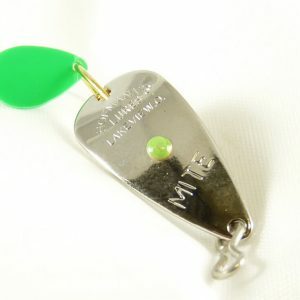 It has tantalizing action whether you jig slow or fast, deep or shallow. 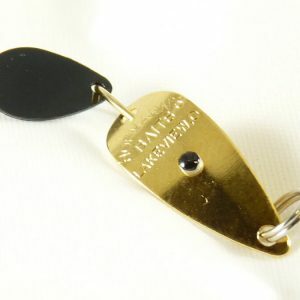 The Mitey-Mite is a must have tool in your pursuit of weary fish and is ideal for Trout, Panfish and many other species of game fish. Proven deadly for 66 years! Mitey-Mite (1/16) oz. : Available in Nickel Plating.